911uk.com - Porsche Forum : View topic - 997.2 paddle wheel heated? 911uk.com Forum Index > 997 (2004 - 2012) > 997.2 paddle wheel heated? Posted: Tue Dec 19, 2017 1:40 pm Post subject: 997.2 paddle wheel heated? noticed yesterday that when i turn on the drivers seat heater a message appears on the dash stating "heated steering wheel off"
If your unsure wether you have a heated wheel, feel behind the lower central spoke for a button there! - I know someone who didn't realise for years that they had a heated wheel having never noticed the button! Have a look (or a feel) and report back! Here is a pic of a lovely 'wood finish' 997 wheel showing where the heating button is located at the bottom rear of the lower central spoke. edit: no wonder its for sale on ebay! Lee was delighted with the "downgrade"
Early Gen 2 Cars will switch on the wheel with the heated seats. My OPC said it was not possible. I’ve tried a 59 reg and it doesn’t do it. Wheels with real paddles are not heated on the 997, just the multifunction wheel with buttons. Maybe the paddle wheel was retro fitted. 'Real' paddle steering wheel did come with the heated (button on bottom rear) option. I remember seeing it in an OPC mag/on-line after I had my non-heated one fitted! I last spoke to Porsche about it two years ago and there was no heated version. Cars are going in very soon and I’ll ask again. Steering wheel in a particularly sporty design. 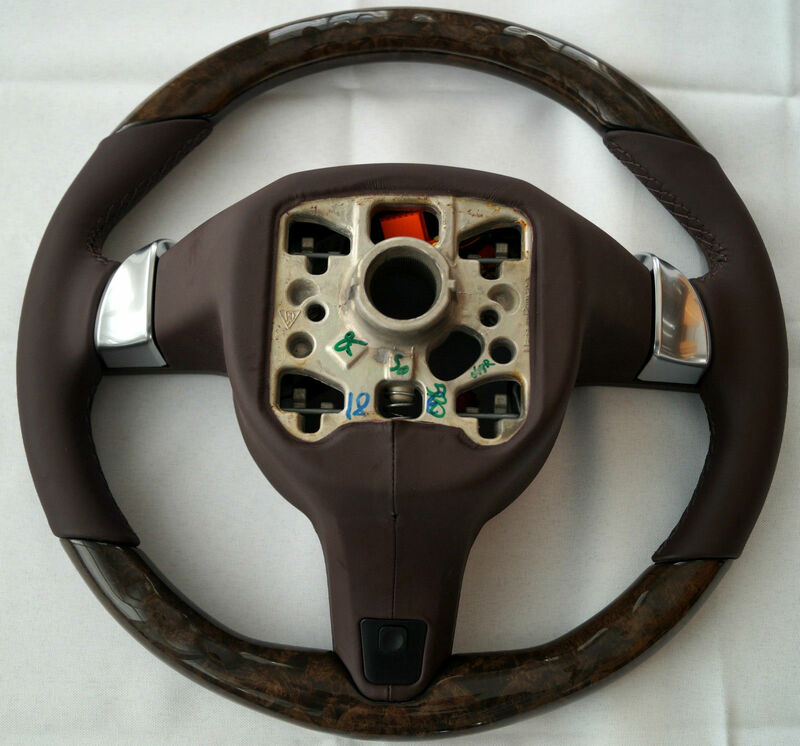 Covered with smooth-finish leather in selected interior colours: steering wheel rim. Please note: The airbag module is not included in the scope of supply. Without heated steering wheel. Codeing is probably wrong ... i thought it wasnt an option .